Today's selection for my Throw Back Thursday read is one that will satisfy mystery, crime, police procedural, and historical fictions fans all. And, especially that group of mystery fans who are devotees of the famous Sir Arthur Conan Doyle and Sherlock Holmes. 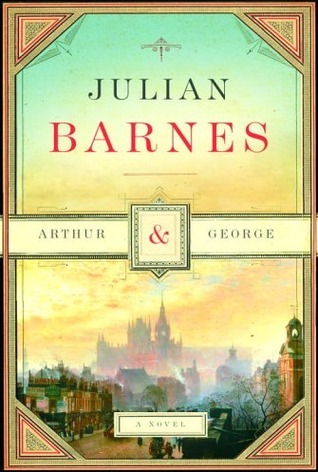 Sir Arthur is such a fascinating character in his own right, apart from Sherlock Holmes. The Cottingley fairies hoax tied in with Doyle's ardent belief in spiritualism is itself enough to earn him unique interest. But, it is another piece of Sir Arthur Conan Doyle's history that I bring you today. 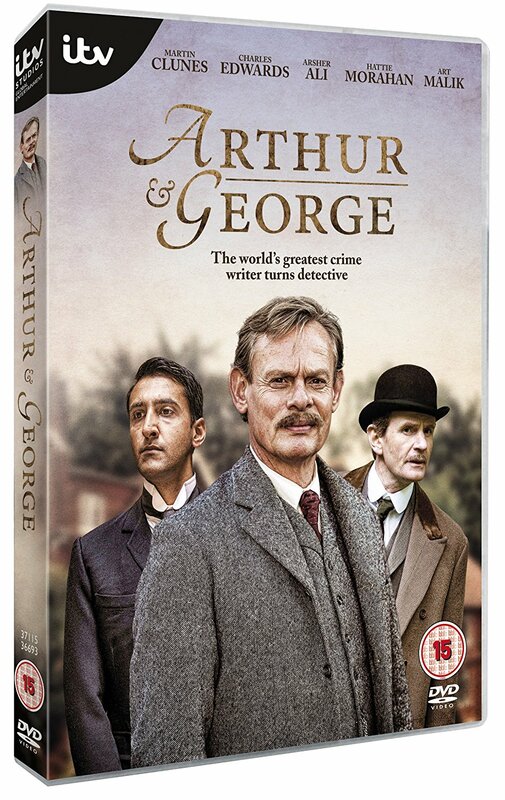 Arthur and George is a fictional account, but factual in details, of Doyle's taking on the case of George Edalji, an English born solicitor of a Parsee father and a Scottish mother, who was wrongly convicted of a crime in 1903 and served three years in prison for it. After writing a newspaper account of his own innocence, Edalji sent a copy of it to Doyle, who became interested in exonerating George Edalji of the conviction. In a life imitating art situation, the author of Sherlock Holmes employs the methods of his creation to produce evidence of innocence. Does he succeed? That's easy enough to check in online reports of this famous case, because famous it was. It resulted in a change in the English court system through establishing the Court of Appeals. There is so much rich material in this book about Sir Arthur Conan Doyle and his life in addition to his thrilling adventure of playing detective that it really should be a must read for anyone who is a fan of the author. And, that it's written by Julian Barnes guarantees that the story flows beautifully from beginning to end. It seems that so many of the throw-back reading selections I've chosen have had movies or television series made of them, so I'm adding a new feature to my Thursday Throw Back Reading. 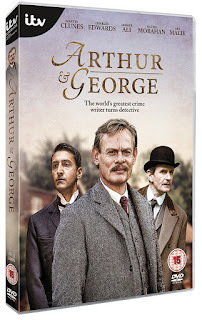 For the book Arthur and George, there is a recent three episode Masterpiece Theater production (here in the states, ITV in Britain) starring Martin Clunes (the wonderful Doc Martin) as Sir Arthur Conan Doyle. I would definitely recommend reading the book first.